Extreme southwest county of England; distinguished in early days by the tinmines which are said to have been visited by the Phenicians. Some of the relies of the old workings are still called "Jews' tin" and "Jews' houses." There is a town in Cornwall known as "Market Jew" (modern Marazion). Prof. Max Müller suggested that this was a folk etymology for "Thursdaies market" ("Marhas diow"), but there is distinct evidence of the connection of the Jews with the stannaries or tin-mines of Cornwall in the reign of King John, when they farmed the whole product of the mines for 100 marks, one-tenth of which was paid as a tithe to the Bishop of Exeter (Camden, "Britannia," ed. Gough, "Damnonii," p. 9). 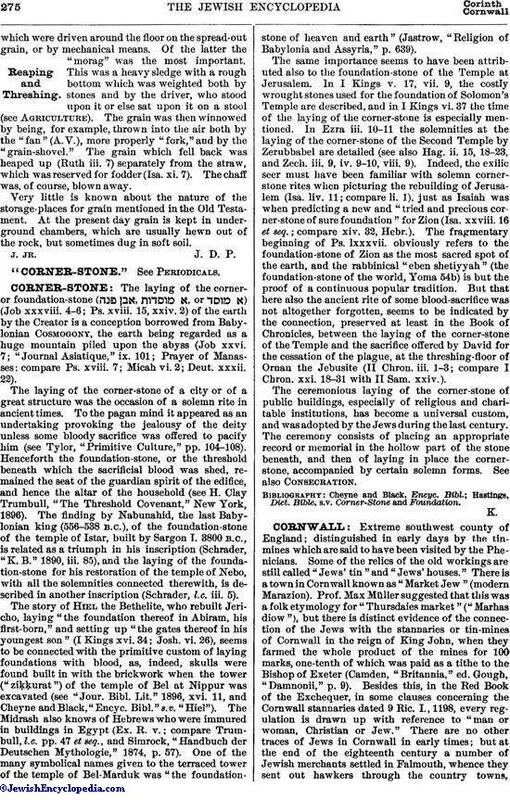 Besides this, in the Red Book of the Exchequer, in some clauses concerning the Cornwall stannaries dated 9 Ric. I., 1198, every regulation is drawn up with reference to "man or woman, Christian or Jew." There are no other traces of Jews in Cornwall in early times; but at the end of the eighteenth century a number of Jewish merchants settled in Falmouth, whence they sent out hawkers through the country towns,who returned on Friday evenings for Sabbath worship. 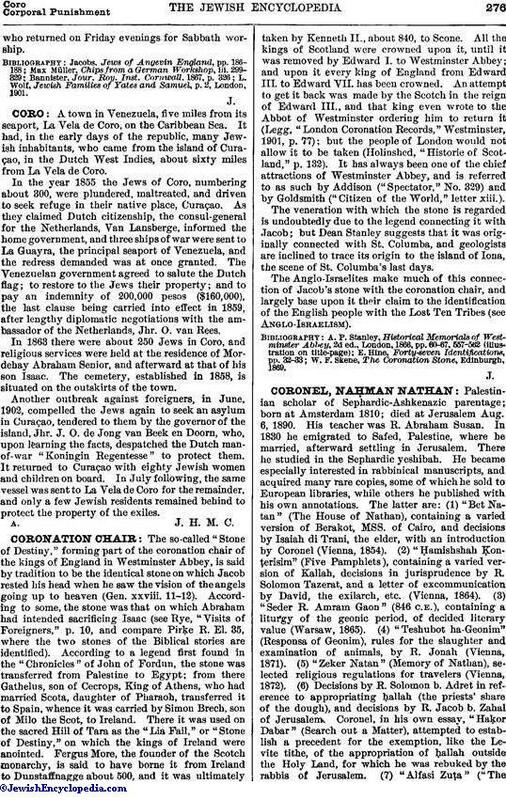 L. Wolf, Jewish Families of Yates and Samuel, p. 2, London, 1901.